In the face of the racism and disinvestment that have hobbled U.S. public housing, the left should not retreat from the concept but reclaim it. When people on the left think about solutions to the housing crisis, few of us think about public housing. Faced with the twin problems of overinvestment, leading to gentrification and displacement, and underinvestment, leading to substandard housing and foreclosures, we tend to think about locally based solutions, which makes sense. Many of these problems are caused by the state in collusion with the real estate industry, and it seems impossible to imagine a future in which the government plays a different role. But I’d like to imagine a future in which many of us live in, and thrive in, public housing. 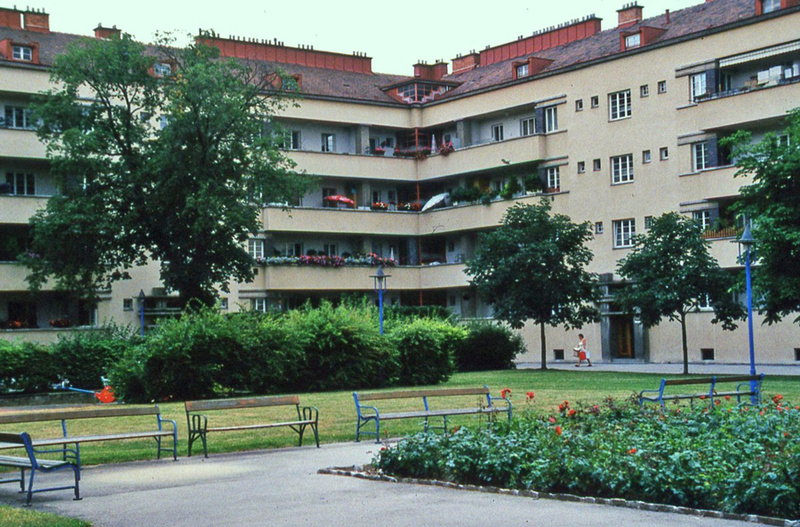 Any discussion of the future of public housing must begin by understanding its origins. Public housing in the United States first emerged in the 1930s as part of the New Deal, when there was an enormous shortage of housing following the Great Depression. The federal government began by making loans to nonprofit corporations to build housing. This program produced very few housing units, due both to the lack of qualified builders and to the inefficiency of channeling public funds through the limited-dividend corporations. As a result, under the Public Works Administration, led by Secretary of the Interior Harold Ickes, the government decided to enter the housing business: rather than paying companies to build government-subsidized housing, the state would build and maintain housing through local housing authorities. As soldiers returned from World War II, their expanding families created a boom in demand for housing, both private and public. 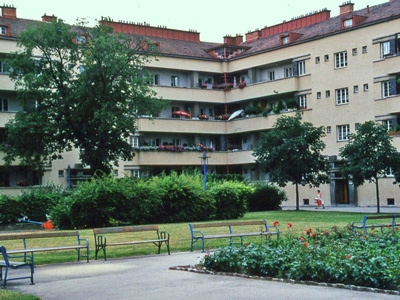 The vast public housing programs undertaken in the postwar period, however, suffered from the racism and disinvestment that would become endemic to government housing, and to nearly every other public institution through the present day. Like other provisions of the G.I. Bill, public housing location and construction were left in the hands of local officials all too eager to keep African Americans out of their communities. Meanwhile, families with resources were encouraged by low-interest mortgage loans to leave urban public housing and move to the suburbs. Of the 67,000 mortgages issued under the G.I. Bill, fewer than 100 were taken out by black veterans. In its relatively short history, public housing has suffered from rampant corruption in some cities, and from the failure of many local housing authorities to maintain and repair housing projects. But this doesn’t mean public housing is a flawed concept, just as “underperforming” public schools whose students are burdened by poverty don’t serve as proof that public education is a failed endeavor. Public disinvestment is the first step in a now-familiar playbook that leads to privatization. Since the 1970s, privately funded affordable housing has largely supplanted government-funded public housing. HUD (Department of Housing and Urban Development) programs like Hope VI and Rental Assistance Demonstration (RAD) exemplify this increasing reliance on the private market. Many of the units in RAD housing or affordable housing build by community development corporations are paid for with Low-Income Housing Tax Credits (LIHTC), with higher income limits than traditional public housing. These higher income limits, along with the overall need for more affordable housing units, pushes many struggling households into overcrowding, homelessness, and public housing waitlists. In line with this shift toward private ownership of subsidized housing, U.S. public housing authorities have become increasingly reliant on Housing Choice Vouchers, or Section 8. While possession of a mobile Section 8 voucher guarantees subsidized rent, the units where the voucher can be used are privately owned. This allows landlords to discriminate against tenants, whether through outright exclusion or by charging rents that exceed HUD’s fair market cap. Section 8 tenants can easily be forced out by property value increases and rising rents, one facet of the cycle of gentrification and displacement currently affecting many U.S. cities. In a process partially justified by these many challenges, public housing is currently either being killed by neglect or aggressively privatized. Take Chicago’s “Plan for Transformation”—a scheme to demolish the city’s public housing projects and rebuild them as “mixed-income” developments. Economically diverse neighborhoods are a laudable goal. But most of the mixed-income developments built under Mayors Richard Daley and Rahm Emanuel are segregated by class, with low-income residents subject to increased surveillance and discrimination. Those who were allowed to return—that is, thousands of the public housing residents who were displaced by the Plan for Transformation—do not have a place available for them in the new developments. The vision of public housing I want to put forward requires a major shift in the way that we think about the role of government and the public sector. The role of the state is to provide fundamental services and goods to the people without concern for profit. One of those must be safe, quality affordable housing. Currently, speculative pressures on land deny the right of housing to those unable to pay exorbitant costs. If you own land, you can raise the price of it as much as the overheated market will bear. If you don’t own land and can’t afford the rent, then you are shut out of housing altogether. What is to be done? Take land off the speculative market, build housing on it, and keep it permanently affordable for anyone who might want to live there. This is being done or attempted in many cities by the community land trust movement, which puts forward a vision of community-controlled affordable housing. I wholeheartedly support that vision. I also imagine a future in which the government, instead of capitulating to the demands of real estate developers, assumes the responsibility of providing shelter itself. The public housing I envision would not be the public housing most of us know. It would be resident-controlled, with democratically elected tenant leaders who make decisions about programming and problem-solving along with government workers. It would be available to residents of all incomes, so as to avoid the stigma that comes with means-tested programs. It would be well-designed and attractive, designed through architecture competitions like many public housing developments in Europe. And its maintenance—not just its construction—would be fully and adequately subsidized by the state. For any of this to work, it would have to be built at a large scale, beyond that at which local community land trusts can operate. 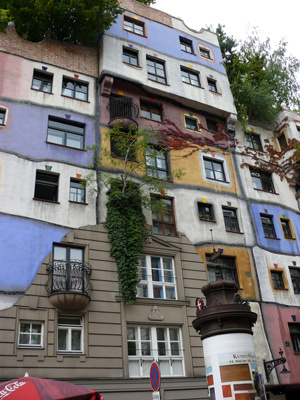 But I hope that the community land trust movement can provide an example of the kind of housing we need. Vienna, Austria, where nearly half of all residents live in government-subsidized housing, provides another instructive example. The prevalence of public housing imposes de facto rent controls on private landlords, who cannot raise rents far beyond what the government charges if they want to attract tenants. 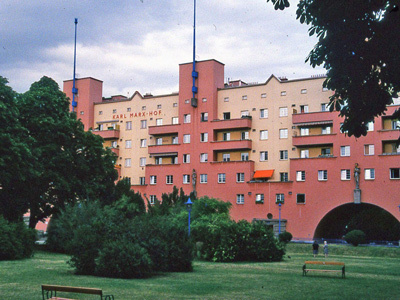 Public housing complexes include childcare programming, community centers, swimming pools, and other facilities. While U.S. public housing is constantly threatened by cuts in federal funding, the entire HUD budget amounts to just over half of the revenue lost annually on mortgage-interest tax deductions for disproportionately wealthy homeowners. In addition to reducing the mortgage-interest deduction, large-scale public housing could be indirectly subsidized by a redistributive tax policy, full employment, or a universal basic income, so that all tenants could afford their rent. 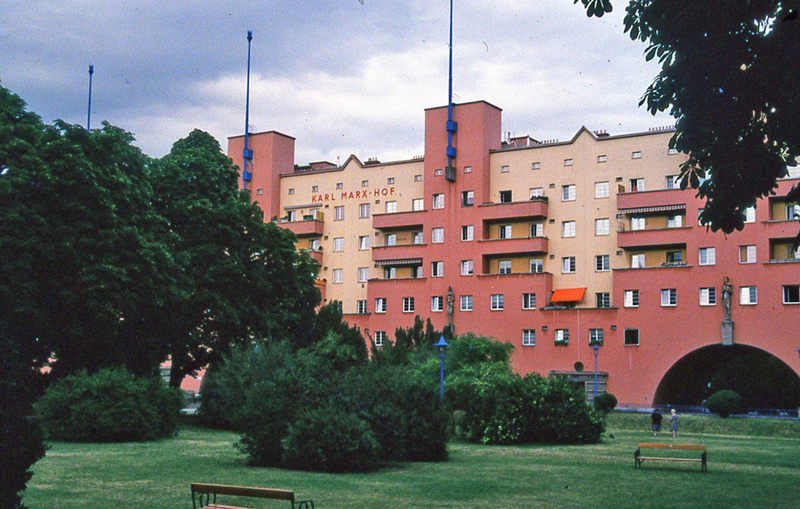 Conceiving of community-controlled public housing as the norm amounts to what Kathi Weeks terms a “utopian demand”—one that, while it may not be immediately winnable, causes us to think differently about the future we want. Housing justice groups across the country, as part of the Right to the City Alliance, are asserting the right to preserve, reclaim, and rebuild working-class communities. Let’s demand that they are rebuilt as a public good. Karen Narefsky is a community organizer based in Somerville, Massachusetts and a contributing editor at Jacobin. This article was adapted from a talk given by the author at Grasping At the Root.